The two joined, Type B dodecagons have 336 yods other than corners. They symbolise the types of geometrical elements in the 24-cell. 96 green hexagonal yods on sides of tetractyses ↔ 96 internal triangles. 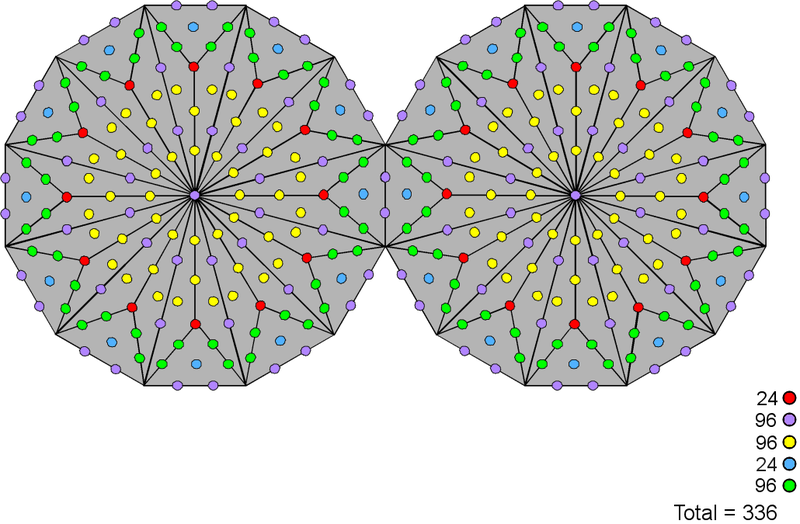 This demonstrates the holistic nature of the 24-cell because many examples have been given elsewhere in this website that show how the pair of dodecagons are the single, polygonal version of the outer Tree of Life.